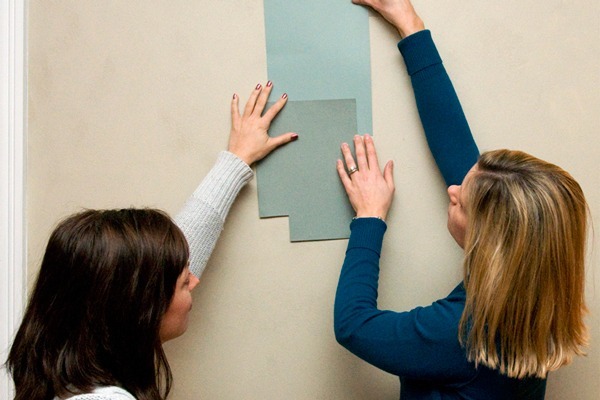 Freshly painted interior walls can breathe new life into your home. Choosing the right interior painting company is the first important step to reaching that goal. At Sharper Impressions Painting, our qualified team of professional interior painters in Columbus Ohio will listen to your vision for your home, then deliver eye-catching results that reflect that vision and stand the test of time. Thorough wall preparation and continuous assessment of our work enables us to deliver our quality interior painting services on-time and on-budget. 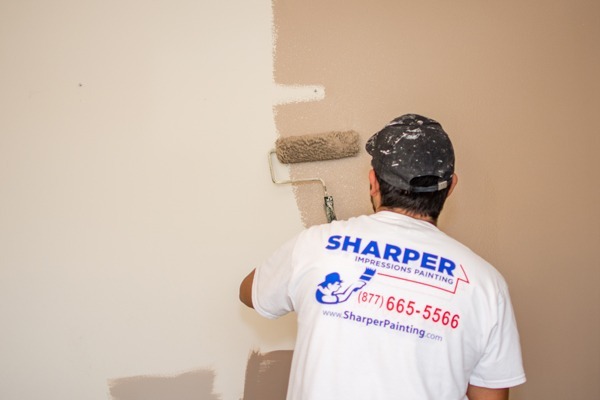 Add in our hallmarks of professionalism, hard work and superior craftsmanship covering a full range of service offerings, Sharper Impressions Painting is the one-source home interior painting company to brighten your abode. In addition to these services, our Columbus interior painters communicate with you to make sure you know exactly what we will be doing or if any prep work needs to be done before we start your home interior painting job. We will inform you if wall hangings, window treatments, appliances and furniture need to be moved prior to the interior house painters’ arrival (your contract will detail this, if necessary). Sharper Impressions will also assist with moving large furniture or appliances at the customer’s request. The last thing you want from residential interior painters is to clean up a mess left behind. 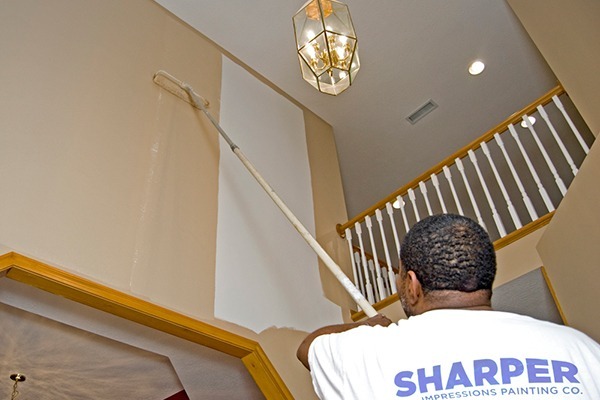 At Sharper Impressions, we make sure your home remains mess-free throughout the entire painting process. Once we get to work on your interior painting project, we protect your home with drop cloths, tarps and painter’s tape, ensuring the only things getting painted are the designated walls, ceiling or trim. All minor drywall repairs will be fixed prior to any ceiling painting, trim or interior wall painting. Dings, dents, nail holes and nail pops will be patched, sanded and smoothed prior to painting. So don’t worry about making those pesky repairs—we’ve got it covered. Once the painting area is prepped, we will begin by painting your new color around all windows, doors and ceiling. We begin painting, skimming areas with drywall compound and sand between coats if necessary. At the end of each day, our interior painters clean up after themselves. We never leave a mess for you to clean up. Sharper Impressions has the mess-free, stress-free and worry-free interior painting services to give your home a makeover. So sit back, relax and enjoy your colorful new environment. Looking for professional interior painters in Columbus Ohio to give your home a fresh look? Call Sharper Impressions Painting today to schedule a free estimate, or request a free interior painting quote by filling out the form below!